Welcome to the new Innomatix website! Our company has been doing vehicle telematics for over ten years, driven by word of mouth customer referrals. With the launch of this website, we are excited to bring our products and services to a wider audience. We look forward to further building our relationships with existing customers and working with some new ones too. Looking forward to the rest of 2017, we have some exciting things in the works. Our new DAP-IV is set to be released late this year. Check back for the release and a description of its new and improved functionality over our pervious DAP versions. We use 3-D printers for some of our prototyping. This helps us save on costs and to easily try different options when we are creating something new. We are working on getting a new printer set-up with more advanced capabilities than our existing printers. We will bring you updates on how this new technology helps us build better solutions. We also have many more projects, such as new features for our DAP and changes to our secure data website. One feature we just implemented allows you to have a custom landing page for your company with your logo and company colors. This is one of the simplest ways to personalize what we do for your specific company and can look great for presentations too. We are also excited to have units deployed to new places around the world. DAPs have most recently been sent to Mexico and Australia for the first time. We look forward to expanding our reach. We have units on most continents, except Africa and Antarctica. 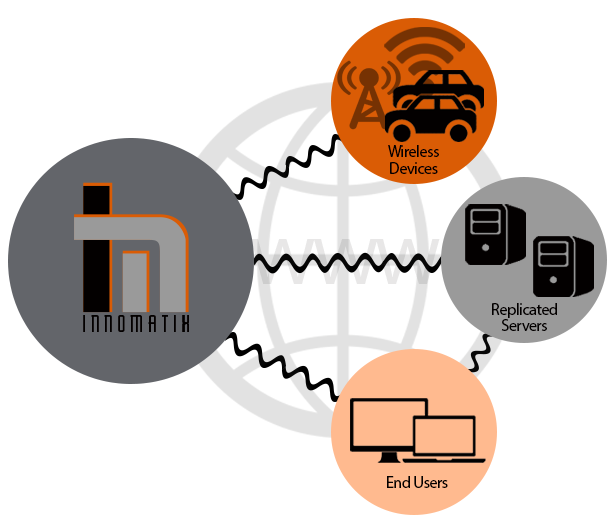 One of our core philosophies at Innomatix is that our product is driven by the customer. Sure, we have standard solutions, but as we move forward we are always looking to see what products and updates give you the most value. We want to create products that help you save time and solve problems. We always encourage feedback from our customers and like to get an idea of where you think you and the industry you are a part of are headed next. If you want to learn more about how we can solve your telematics problems, please contact us. We are excited to see where your next project leads us!